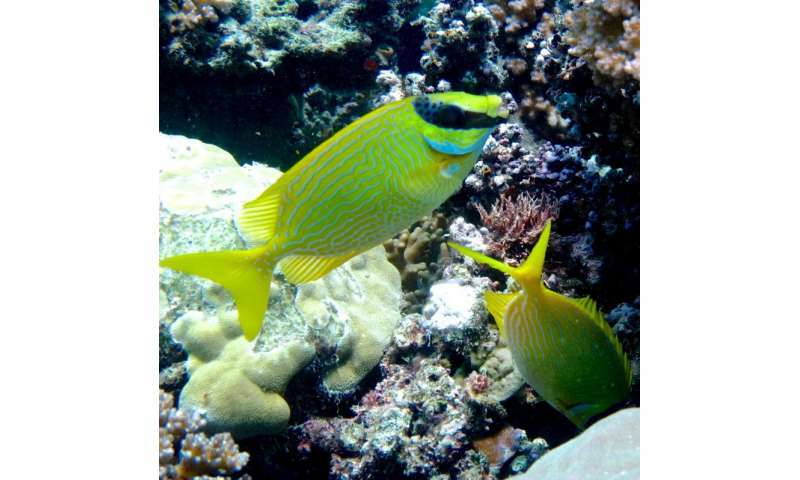 New research from the ARC Centre of Excellence for Coral Reef Studies at James Cook University has found that pairs of rabbitfishes will cooperate and support each other while feeding. While such behaviour has been documented for highly social birds and mammals, it has previously been believed to be impossible for fishes. 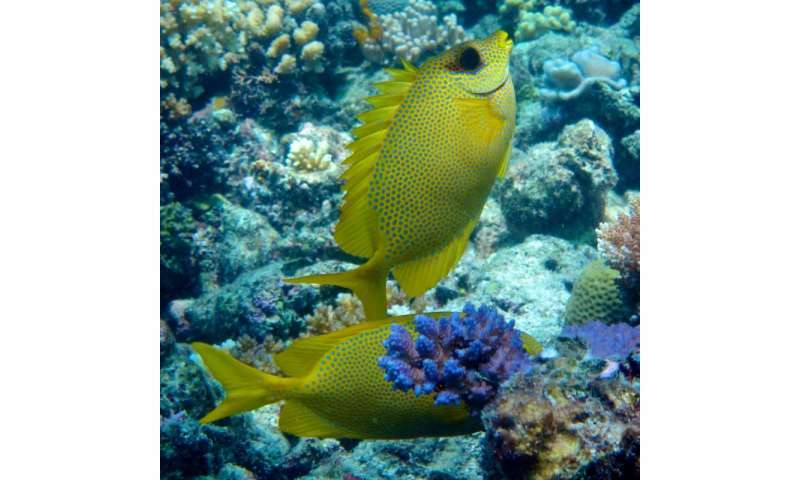 "We found that rabbitfish pairs coordinate their vigilance activity quite strictly, thereby providing safety for their foraging partner," says Dr Simon Brandl from the ARC Centre of Excellence for Coral Reef Studies. "In other words, one partner stays 'on guard' while the other feeds - these fishes literally watch each others' back," Dr Brandl says. "This behaviour is so far unique among fishes and appears to be based on reciprocal cooperation between pair members." Reciprocal cooperation, which requires an investment in a partner, which is later reciprocated, is assumed to require complex cognitive and social skills. Skills that fishes have been deemed not to have. Yet, Dr Brandl says their research shows clear coordination and presents intriguing evidence for reciprocal cooperation between the rabbitfish pairs. "There has been a long standing debate about whether reciprocal cooperation can exit in animals that lack the highly developed cognitive and social skills found in humans and a few species of birds and primates." Dr Brandl says. "By showing that fishes, which are commonly considered to be cold, unsocial, and unintelligent, are capable of negotiating reciprocal cooperative systems, we provide evidence that cooperation may not be as exclusive as previously assumed." Co-author, Prof. Bellwood, also from the Centre of Excellence for Coral Reef Studies, says that our perception of fishes as cold scaly automans is slowly changing. "Our findings should further ignite efforts to understand fishes as highly developed organisms with complex social behaviours," he says. "This may also require a shift in how we study and ethically treat fishes." ..and yet many anglers still believe fish don't even feel pain. On a related note, i've recently observed surprising intelligence in crabs, suggestive of forward planning, spatial and social awarenenss and strategizing.